The lawyer for a limo service operator arrested in a crash that killed 20 people says his client isn't guilty. The attorney, Lee Kindlon, spoke to reporters Wednesday after Nauman Hussain's arrest. State police said they charged the 28-year-old Hussain with criminally negligent homicide in Saturday's crash in Schoharie (skoh-HAYR'-ee). Kindlon says police "jumped the gun in charging him with any crime." Police called Hussain the operator of Prestige Limousine, but Kindlon says Hussain handled marketing and phone calls while his father ran the company day to day. Prestige Limousine has come under intense scrutiny since the wreck. State officials have said the limo failed an inspection and was declared "unserviceable" Sept. 4. Kindlon has said safety problems were corrected, though the state says that's not so. Police say they have charged a limo service operator with criminally negligent homicide after a crash that killed 20 people in upstate New York. State police say Prestige Limousine operator Nauman Hussain was arrested Wednesday in a traffic stop on a highway near Albany. His lawyer hasn't immediately returned a call. Police plan a news briefing Wednesday afternoon. Prestige Limousine has come under intense scrutiny since Saturday's crash in Schoharie. 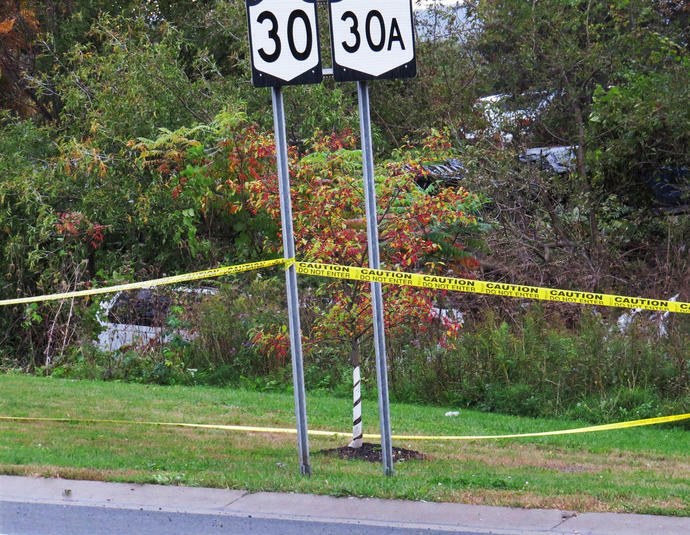 Two pedestrians and 18 people in a Prestige super-stretch limo were killed. It was taking a group to a birthday bash. State officials have said the limo failed an inspection and was declared "unserviceable" Sept. 4. The company's lawyer has said safety problems were corrected, though the state says that's not so.